Four-time F1 World Champion Sebastian Vettel has become the first Formula 1 driver to sample the new Russian F1 circuit in Sochi, which has been the centre of much controversy over recent months – following tensions between Russia and Ukraine and the downing of Malaysia Airlines flight MH17. 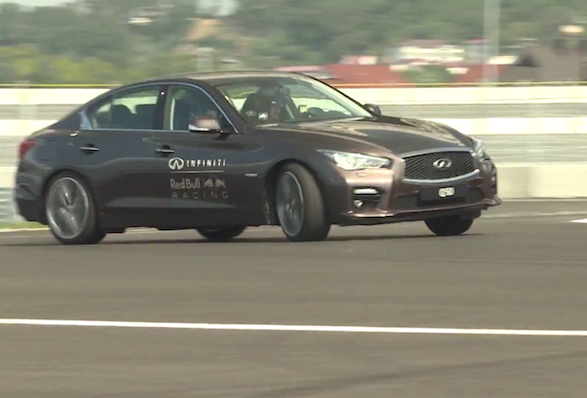 We've already seen the German driver – Infiniti's grandly titled 'Director of Performance' – take to the Belgian F1 track in an Infiniti Q50 Eau Rouge and now he's given us a video tour of the 3.6 mile Sochi Autodrom, located in south west Russia. This footage shows that the Autodrom features lots of tight right hand bends and a narrow course flanked by unforgiving concrete barriers – expect crashes to feature heavily when races begin in Sochi. The first race will take pace on October 12 and will consist of 53 laps around the challenging course.